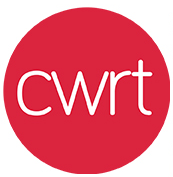 CWRT (Coventry & Warwickshire Reinvestment Trust) are looking to hire a new Credit Assistant to join their growing team in Coventry! The purpose of this role is to handle our debt collection up to a Formal Demand, assist with the accounts and be CWRT’s lead personal loan officer also supporting the Loan’s team. Liaising with customers who have missed payments, cancelled or want to set up their Direct Debit and wish to change their payment date/amount. Chasing aged debt and if necessary, send notice of failed payments to customers up to formal demand. Arranging and organising payment plans. Posting of all cash receipts. Maintenance of data for all Customers. Setting up new customers and checking credit limits. Assess personal loan applications for viability and affordability in line with our lending policy. Conduct meetings with personal loan customers to discuss their loan and sign loan documents. Quality control of all loan applications – Audit all loan applications to make sure they fit within industry standard. Member of the Lending Group. Oversight of financial data, management, and reporting systems. Help with the Loan Support Service. Support Marketing activities (i.e website updates, case studies, marketing material creation etc). Undertake other duties as required, cross train on other areas of the business. Comply with all CWRT’s policies and procedures including Money Laundering, Health and Safety, Equalities and Diversity, Treating Customers Fairly, and Data Protection requirements. Undertake duties required by legislation, regulatory bodies, and contracting partners. We are looking for a committed individual who is organised, hardworking and able to deal with different stakeholders. Credit/Finance experience, though not a necessity. Uses initiative to achieve results. Self-awareness with confidence to work independently and take responsibility for own development. Has strong attention to detail. Excellent with Microsoft Office applications - especially Excel and SharePoint. The successful candidate will have the opportunity to make the role their own, within an organisation that champions innovative ideas and is receptive to changes. We are keen to give accredited training where applicable and encourage individuals to grow and develop into other areas of the business.